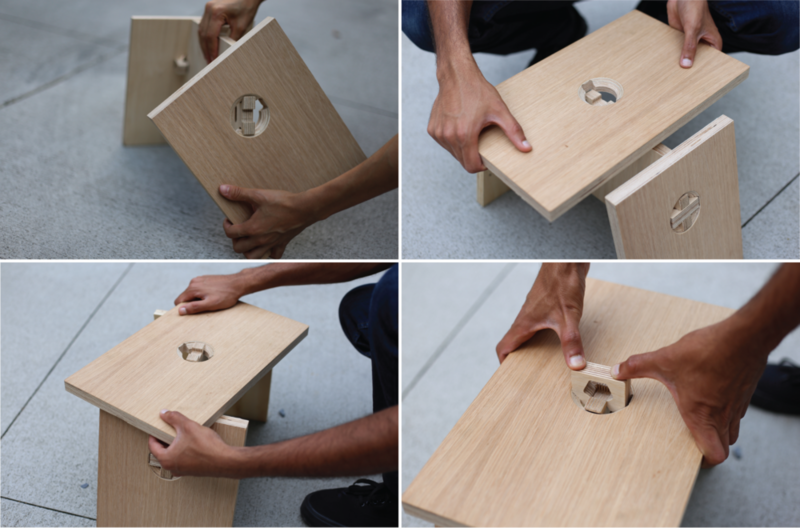 A series of knock-down plywood joinery and furniture design using no glue or mechanical fasteners. 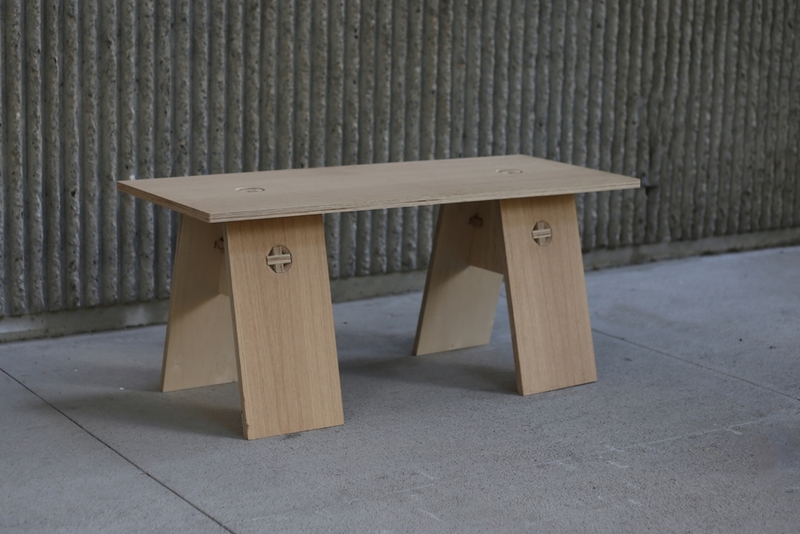 Inspired by traditional wood joineries. 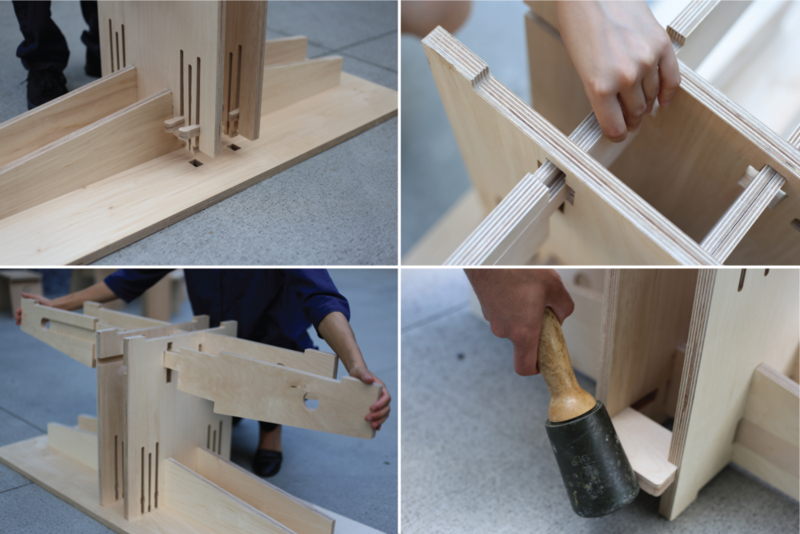 Exposing the joinery rather than hiding them tells the story of the assembly and reveals the beauty of the joineries. 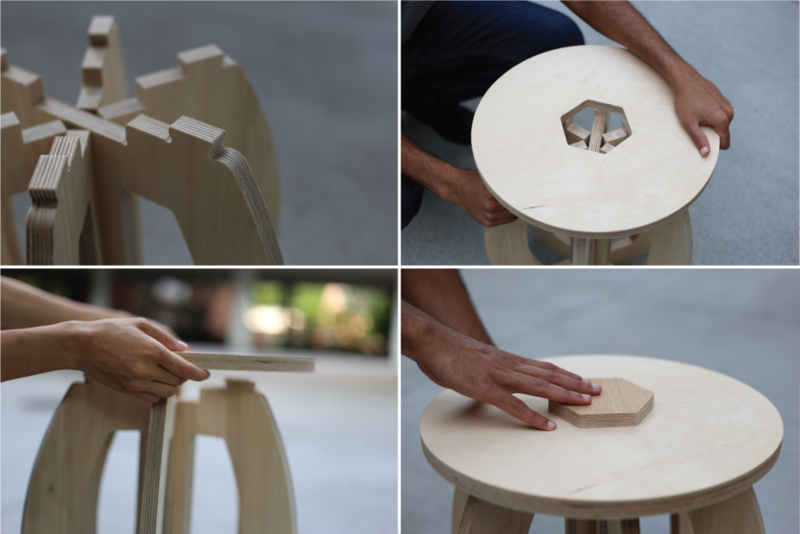 The assembly and disassembly could be done with minimal use of tools. The wood knock-down joineries brings the story of craftsmanship and also have less chance of causing damage than mechanical fastener. CNC fabrication is used because it has the advantages of making the joineries fit precisely and the manufacturing process is repeatable and transferable .